Shop for the new Honor 8X online today at Jumia Egypt to enjoy the best quality and most affordable prices in the market. The Honor 8X Mobile comes in many different colors to choose from, and you can also get yourself all the needed mobile accessories from our website, such as a cover or a screen protector. 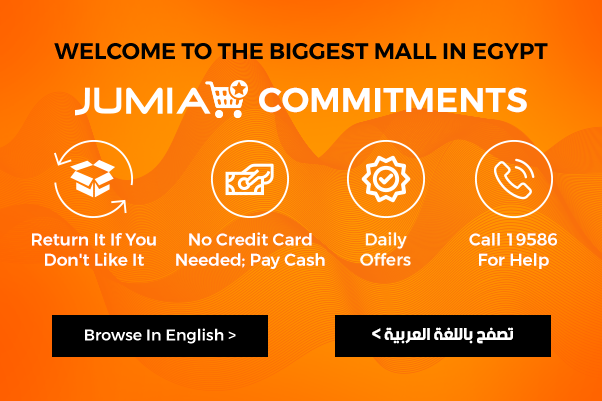 Shop online today to enjoy the best shopping experience from Jumia Egypt. Honor 8X mobile is one of the latest releases of smartphones from Honor and it has proven to be an innovative and amazing mobile phone. Honor was once a mobile series under Huawei and was essentially named Huawei Honor, but has been created to be its own brand for smartphones. The Honor8X has a 6.5 inch screen which is fairly large, so it would be suitable for people who prefer larger screens, especially for work. The Honor mobile has a dual-SIM and 4G network, as well as, an Octa-Core CPU. With an internal storage of 128GB, you can also add storage of up to 256GB to that. Honor 8X has 20MP + 2MP back cameras and 16MP front camera, so you’re all set for the perfect selfie. Shop today at Jumia Egypt for the Huawei Honor 8X and all its mobile accessories from our collection. You can choose from a variation of colors such as Blue, Black and Red. Get the best mobile experience when you buy yourself the new Honour 8X. Choose and buy your new smartphone today, pay securely online or cash on delivery and get the fastest delivery to an address of your choice with Jumia Egypt.